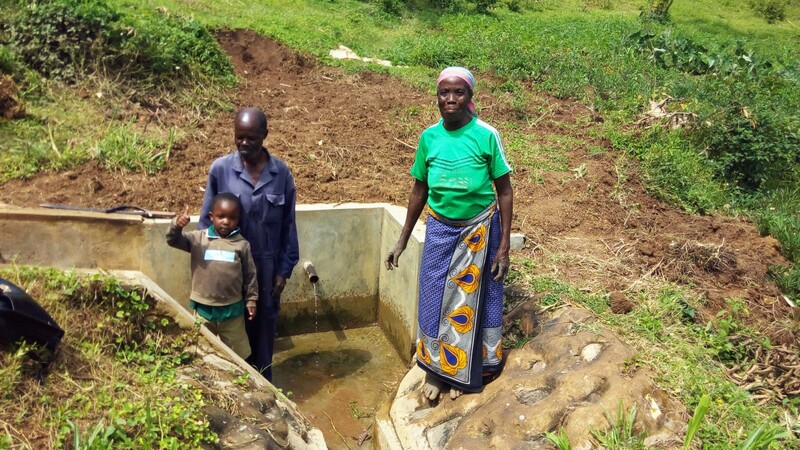 A year ago, generous donors helped build a spring protection system and sanitation platforms for families living around Alphonce Mukoshi Spring. Because of these gifts and our monthly donors, partners are able to visit project sites throughout the year, strengthening relationships with communities and evaluating the actual water project. These consistent visits allow us to learn vital lessons and hear amazing stories – we’re excited to share this one with you. Field Officer Karen Maruti observed a lot of improvements on her way to Alphonce Mukoshi Spring – the community surrounding this clean water source is made up of clean homes that have helpful sanitation facilities like dish racks and clotheslines. 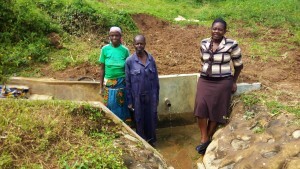 And as she began talking to community members fetching their water at the spring, she learned that health has also improved; beneficiaries say that they aren’t getting waterborne diseases anymore. This is all wonderful news! We will continue to look for nearby locations for potential water projects to help alleviate the busyness around Alphonce Mukoshi Spring. When you invest in The Water Project, you're investing in people like Clinton. Your gifts help us reach more communities with the gift of clean, safe water. And every drop helps unlock potential.